When I think of the word “athlete,” images of Olympic contenders would come to mind: lean, muscular, strong, and determined. I used to love watching all kinds of sports on TV, especially gymnastics, ice skating, tennis, and the NBA. My parents never pushed us girls toward sports, which had always been odd to me, considering how many basketball and tennis trophies my dad brought home and added to his collections stored in cabinets and displayed on our piano. It’s a shame, because I was always full of energy, enjoying physical activities that not many girls in my school could relate to. I was the typical 90s kid who biked and rollerbladed around the village with my neighbourhood friends. I even had a street hockey phase, after The Mighty Ducks was released. I loved arm wrestling, and became embarrassingly infamous for the game called, “Mercy!” In grade school, my classmates would set up challenges for me, like pushing rows of lockers across the hall. While many dreaded PE class, I looked forward to playing Filipino games like patintero, and later on basketball, softball, and table tennis. Despite all that, I was a fat kid; and I don’t mean chubby, I was obese. On my freshman year of high school, I was 5 feet tall and weighed 136 pounds. I used to eat plates full of rice at every meal, and snarled when told to eat less. How I eventually lost all the weight is a different story for another time, but I wanted to give a short background on why I’m so incredulous to be the “Featured Athlete” on my CrossFit gym‘s website this month. I never thought I’d ever be considered an athlete in this lifetime; but by definition, I guess I could credit myself with this title by the way I’ve been living the past year. I’ve been working out by lifting and doing some gymnastics at least 3 times a week, and I have a more conscious effort to eat better every day (but I have to admit, this continues to be the struggle!) I even joined a competition to experience CrossFit as a sport, which I mentioned briefly here. So while it may seem shallow to some, I’m more than tickled by this recognition. I’m proud of how actively I’ve reversed my health and fitness by the choices I’ve been making, and plan on continuing to make the right choices as I get older. Read more of my feature here. To anyone who is still fighting fat, I encourage you to keep on going. Start with small changes, like eating less carbs and brisk walking for 30 minutes, and you will feel the benefits of a healthier body. I’m positive you will surprise yourself, just as my own capabilities continue to surprise me! Yehey! Thank you, Ara! <3 Kayo naman ni Ten ang Fitspiration ko! Cla just showed me your photo, and with a straight face, blurted out "O, may pagasa ka pa". Hindi ko pa pala napapakita sayo! 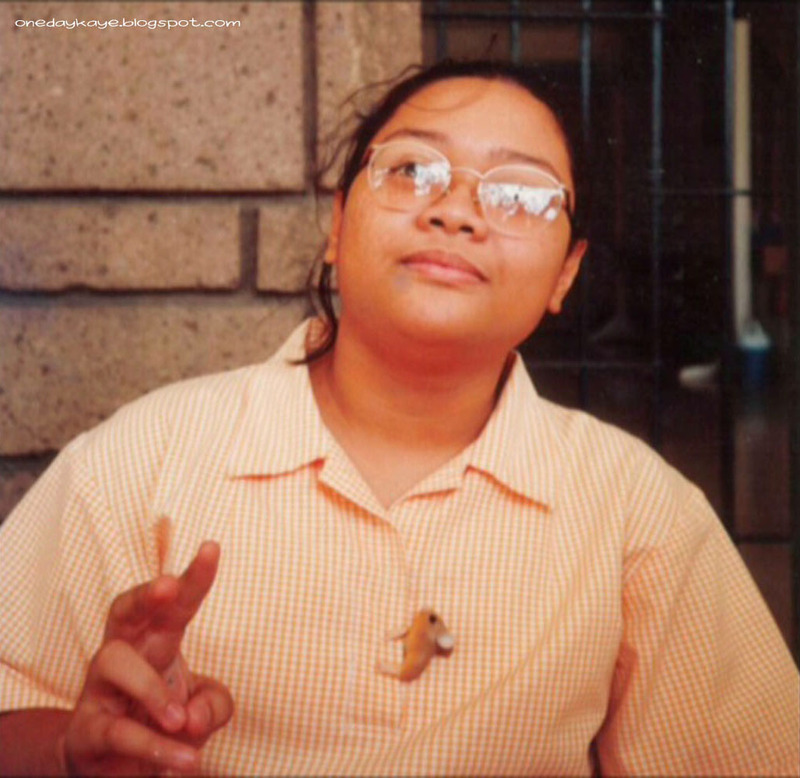 Haha huhu I was such a fat 12-year old! Thanks Coach Randy! I really am enjoying this journey and very happy I have you guys to get me further!